Last year it seemed so easy: 12 Years a Slave was the pre-ordained Best Picture winner, Matthew McConaughey and Cate Blanchett had acting awards locked up, and nobody was going to deny Frozen in the animation category. Well, the 87th annual Oscar race has been a little more fun. Even though certain movies have been winning regularly with groups such as the Golden Globes and the Critics Choice (I’m a voting member in the latter), I do think there’s actual suspense about the big prizes this year. It could turn into something because of the way the votes might split. Boyhood stands as the odds-on favorite, and critics’ awards seem to favor it. But Birdman has won some key prizes, including the nod from the Directors Guild. More complications: The late-arriving American Sniper is the only one of the Best Picture nominees to qualify as a real box-office smash. That does count for something with Academy voters. And then there’s the Selma kerfuffle. Oscar commentators and political pundits took umbrage at the film being shut out of most categories, especially Best Director, even though it was nominated for Best Picture. Could there be a strong response to the perceived snub (as there was when Argo didn’t have director Ben Affleck nominated, but the movie won Best Picture after all)? By the time the Oscars air on March 2, most moviegoers will not have been able to get to theaters to see all the nominees. But thanks to the era of DVD, Blu-ray, streaming video and movies on demand, those who really want to cram for Hollywood’s big night can catch up on a bunch of the films at home. Some of the front-runners still require a theater trip (more on that later), but for those of you who want to order in and prep for your office pool from the comfort of your own couch, it’s possible to cover a lot of ground. 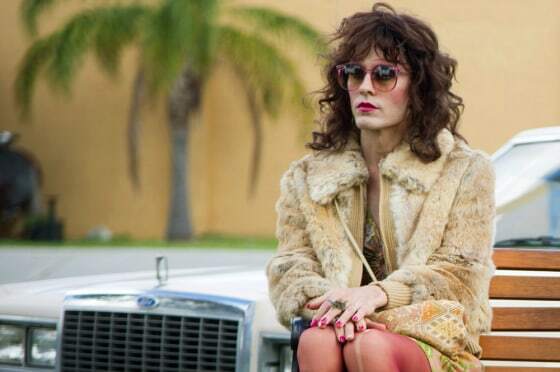 “Dallas Buyers Club” picked up six nominations, including best picture and best original screenplay, but its best chances are in the acting categories, where Matthew McConaughey is a front-runner for best actor and Jared Leto is up in the supporting actor category. The two already took home Golden Globes for their performances. It’s available on Blu-ray, DVD, VOD, and On Demand. “Captain Phillips” also received six nominations, including best picture, adapted screenplay, and actor in a supporting role for Barkhad Abdi, a non-actor who made a vivid debut in the role of a Somali pirate. Star Tom Hanks was overlooked for his equally strong performance. It’s available on Blu-ray, DVD, VOD, and On Demand. Woody Allen’s “Blue Jasmine” earned Cate Blanchett her sixth Oscar nomination and she is a wonder as a Blanche DuBois in contemporary San Francisco. That would make fellow nominee Sally Hawkins (up for best supporting actress) the film’s Stella. It’s available on Blu-ray, DVD, VOD, and On Demand. For an Oscar year in which several big awards were foregone conclusions, the Academy of Motion Picture Arts and Sciences soiree this past Sunday included its share of surprises. It also featured an equable, perhaps accidental, distribution of the prizes among a range of movies. When we consider how set the Hollywood community appeared to be on anointing the sixth-best nominee as best picture, it’s gratifying that 2012 won’t go down in Oscar history as a sweep year. Yes, as predicted here and just about everywhere else, the George Clooney–Grant Heslov–Ben Affleck production Argo copped the big one. But it won only two others, tying with the execrable Les Misérables and running one behind Life of Pi. Scoring two each on the tote board were Steven Spielberg’s Lincoln, the James Bond movie Skyfall, and Quentin Tarantino’s Django Unchained. It was Django that drew first blood, with the second supporting-actor win by Christoph Waltz in a Quentin Tarantino movie. As in Inglourious Basterds (2009), Waltz was really a costar rather than supporting player. And once again Waltz gave an impeccably gracious acceptance speech, naming and literally bowing to his esteemed fellow nominees and praising his writer-director through artful repurposing of Tarantino’s own words. Did Waltz’s sorta-surprise win foreshadow an evening of academy voters taking pointed stands against pinched-face controversy? Django Unchained, an outrageous historical revenge tale framed as a spaghetti Western, had been deplored (especially by people who refused to see it) for its ballsy, N-word–laden take on slavery. What about Zero Dark Thirty—only the for-real best movie of 2012—glibly maligned for endorsing the efficacy of “enhanced interrogation” even though it hadn’t done so? 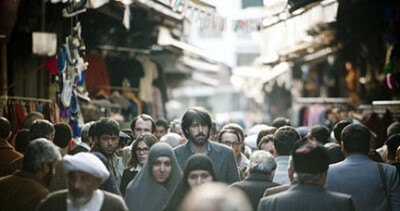 Argo, the movie inspired by the 1979 Iran hostage crisis, is going to win the Academy Award as best picture of 2012. Go ahead, place that bet in your office Oscar pool, but don’t expect to reap much advantage, because everybody else is just as sure that Argo is going to win. The signs are impossible to miss, or to deny. Like The King’s Speech a couple years back, and like The Artist the year after that, Argo has been sweeping the film industry’s pre-Oscar contests: the Producers Guild Award, the ensemble award from the Screen Actors Guild, “outstanding directorial achievement” from the Directors Guild (DGA), and the BAFTAs—the trophies from the British Academy of Film and Television Arts—for best picture and direction. Since many of the voters in those various contests are also members of the Hollywood academy, they’ve already vouchsafed a de facto peek at a lot of Oscar ballots. There is, to be sure, a notable break with the usual pattern. Most years, the director of the movie about to be named best picture will be called to the podium to collect the Oscar for best direction. And much more often than not, that Oscar victory has been predicted by a DGA win. So we’re on track, right? Ben Affleck, star and director of Argo, won the DGA. Yes, but. Whereas the five nominees for the DGA and those for the best-director Oscar tend to be the same, or pretty much the same, this year only two of the DGA nominees made it onto the Oscar slate. And neither of them was Ben Affleck. How and why this happened boggles the mind; we’ll probably never know. What we can say is that, far from blighting Argo‘s chances for winning best pic, the snubbing of its director seems to have inspired a backlash. Argo lovers are all the more determined to honor their movie, and mere Argo likers who might have been inclined to vote for one of the other eight best-picture nominees have swung aboard Argo. Also—as past best-director winners Robert Redford, Warren Beatty, Richard Attenborough, Kevin Costner, Clint Eastwood and Mel Gibson can tell you—the biggest voting bloc in the academy is the actors branch, and they like to see one of their own make good. That Affleck has made good as a director after often being belittled as an actor only adds to the payback fervor. For the record, those other eight nominees for best picture are: Amour, a rare instance of a foreign-language film breaking into this category; Beasts of the Southern Wild, the fave rave among American independent films in 2012; Django Unchained, Quentin Tarantino’s expectedly outrageous foray into spaghetti-Western territory; Les Misérables, from the decades-long-running musical; Life of Pi, Ang Lee’s version of the “unfilmable” mystical novel; Steven Spielberg’s historical drama Lincoln (which leads with twelve Oscar nominations); Silver Linings Playbook, the best romantic comedy in living memory; and Zero Dark Thirty, Kathryn Bigelow’s distillation of the ten-year hunt for Osama bin Laden. As for the directorial scorecard, only Ang Lee and Spielberg carry over from the DGA slate. MIA along with Affleck are fellow Directors Guild nominees Bigelow (winner three years ago for The Hurt Locker) and Tom “Les Miz” Hooper (winner two years ago for The King’s Speech); their slots on the Oscar ballot have gone to Michael Haneke (Amour), David O. Russell (Silver Linings Playbook), and Benh Zeitlin (first-time director of Beasts of the Southern Wild). We’ve spoken of Argo‘s conquest of industry awards (and don’t forget the goofy Golden Globes! ), but it should be noted that Affleck’s crowd-pleasing movie barely showed up in critics-group award reckonings. In such contests, Bigelow/Zero Dark Thirty and Haneke/Amour mostly traded first-place honors, with Lincoln (though curiously not Spielberg) crowding for second position. The discrepancy is easy enough to account for. Bigelow’s, Haneke’s and even Spielberg’s films are complex works of art that challenge audiences and then leave it up to those audiences to deal with the implications of what they’ve witnessed and experienced. Argo is a well-made movie with a fascinating (and mostly true) story to tell, of how six U.S. foreign service workers were exfiltrated from Tehran during the 1979 Iranian hostage-taking crisis, and when it’s over, it’s over. No resonance, no takeaway. An entertaining, quality movie, yes indeed, and there can never be an oversupply of those. But “best film”? So, since it can’t be Ben Affleck (and the academy no longer allows write-in votes), who takes best director? It’s anybody’s guess. Spielberg has won twice already, and although Lincoln is much respected, I don’t get the sense people are excited about it. Life of Pi must be accounted an awesome technical achievement (the costar and most of the action is all CGI), but should it win Ang Lee a second Oscar? Haneke doesn’t make a wrong move with Amour and, denied the chance to vote for Bigelow, I guess I’d go with him. David O. Russell isn’t my kind of director visually, but Silver Linings Playbook is the first movie in 31 years to score nominations in all four acting categories, and he’s gotta rate for that. Zeitlin doesn’t belong here. Best actress: Silver Linings Playbook‘s Jennifer Lawrence (“Hey!”) is the favorite, and certainly mine, but it will be deeply moving if Emmanuelle Riva, of Amour, celebrates her 86th birthday with an Oscar win; hers is one of the bravest performances ever. Also plenty worthy is Jessica Chastain as the fierce CIA analyst in Zero Dark Thirty. Inappropriate: Naomi Watts, in The Impossible (but not enough of it); Quvenzhané Wallis, best thing about Beasts of the Southern Wild (but a kid). Best actor: Daniel Day-Lewis, Lincoln—take it to the bank. Best supporting actress: I don’t see how anything stops Anne Hathaway, Les Misérables, though I wish something would. Sally Field deserves the Oscar for her Mary Todd Lincoln, and Helen Hunt deserves another for The Sessions. Best supporting actor: His lovely work as the sports-obsessed Philly father in Silver Linings Playbook is the first performance Robert De Niro has woken up to give in years. He could even win (and I cast my top National Society of Film Critics vote for him). But keep an eye on Tommy Lee Jones in his rather too showcase part in Lincoln. Philip Seymour Hoffman, The Master, and Christoph Waltz, Django Unchained, both world-beaters, seem out of place in the supporting category. Alan Arkin’s vaudeville turn in Argo was easy meat. Further remarks plus notes from the battlefield next week. 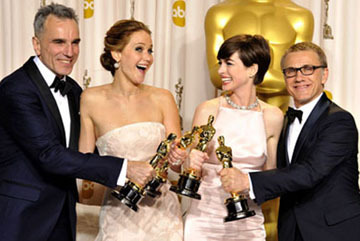 The Oscars will be awarded this coming Sunday, Feb. 24, 5:30 p.m. on KOMO-4. Ah, the glories of infinitely expandable space in online editions … and so, a sidebar. It seemed, still seems, unthinkable that anyone could deprive Tony Kushner of the Oscar for his Lincoln screenplay, which raises subtlety to epic proportions. And yet Kushner shares a category with Chris Terrio, the screenwriter of Argo, and if this turns out to be one of those sweep years when Academy voters just don’t know when to quit, it becomes horribly thinkable that Kushner could lose. And speaking of category … Adapted Screenplay? I know that Doris Kearns Goodwin’s wonderful Lincoln history Team of Rivals is technically the source of Lincoln, but to consider Kushner’s script as anything but an original seems picayune. Also nominated: Beasts of the Southern Wild, Life of Pi, Silver Linings Playbook. Original Screenplay is stronger yet: Amour (Michael Haneke), Django Unchained (Quentin Tarantino, who won the BAFTA), Flight (John Gatins), Moonrise Kingdom (Wes Anderson & Roman Coppola), Zero Dark Thirty (Mark Boal). Shut your eyes and throw for the dart board, you’re going to hit a winner no matter what. My preference: Haneke for Amour, then the Moonrise Kingdom boys. Amour will also almost certainly be announced in the Foreign-Language Film category. Of course, predicting that award is dicey because of the peculiar, but entirely appropriate, rules restricting who gets to vote for it. Only members on record as having seen all five nominees may mark a ballot, so even if one film has loomed largest in publicity and critical acclaim, it’s possible that the all-but-unseen (by everybody else) little nominee from Upper Volta is going to pull an upset. No, there’s no film from Upper Volta in this year’s batch, but there are Kon-Tiki (Norway), No (Chile), A Royal Affair (Denmark), and War Witch (Canada). Amour, set in France with dialogue spoken in French by French cinema acting royalty, is technically an Austrian film. In Film Editing, William Goldenberg will take home an Oscar—but for Argo or the more meticulously shaped Zero Dark Thirty, on which he shares credit with Dylan Tichenor? Other films nominated: Life of Pi, Lincoln, Silver Linings Playbook. It is grotesque that Roger Deakins, arguably the world’s greatest living cinematographer, has no Oscar for his mantel. Skyfall marks his tenth nomination, and is (top this for trivia) the first James Bond film ever nominated for Cinematography. In Deakins’ favor, Argo isn’t a factor here. However, Life of Pi is, and that film is continuously stunning to behold. However (like 2009 Cinematography winner Avatar), it’s a movie wherein a lot of what we see is the work of Visual Effects people of various specializations. What cinematography there is is Claudio Miranda’s. Also nominated: Anna Karenina, Django Unchained, Lincoln. Roger and out. Those are all fun conversations to have, but in this case we want to call attention to something different — some amazing, mostly appalling oversights. There’s a surprising abundance of great and/or universally admired and/or culturally indispensable and/or dearly beloved films that were ignored by Oscar the year they came out. In some cases, totally ignored: not even a nomination, let alone a statuette. Fortunately, most of our candidates have been, or will be, redeemed in the fullness of time — in many instances outlasting and outshining the pictures that beat them in their day. Better yet, all of them are available for us to resee and reevaluate. Pass the popcorn. ‘The Searchers’ win an Oscar? That’ll be the day. What movie most influenced the “American renaissance” filmmakers of the ’70s? If you answered The Searchers, take a cigar, pilgrim. This towering Western, acclaimed as the supreme example of its genre, the masterwork of director John Ford, featuring the best performance ever given by John Wayne, and firmly ensconced as one of the Ten Best Films of All Time in international polls devoted to such things, has left its DNA in dozens of later movies, from Taxi Driver to Close Encounters of the Third Kind and Star Wars. Each year, new audiences discover its visual grandeur, shattering power, and the enigma of its monstrous hero Ethan Edwards: long before it became fashionable to take a “revisionist” view of frontier life, Manifest Destiny, and the Indian wars, Ford and Wayne had wrestled with the demonic side of Western myth and achieved a deeper, more disturbing complexity than anyone would afterward. There is always such a feeling of inevitability by the time the Oscar nominations roll around. Even moved back to early January, it arrives after weeks of Top Ten lists, an unending array of critics awards, and predictions from every pundit with a blog. At least they beat the Golden Globe Awards this year, but the final tally is still measured against the consensus. This year, no surprise, belongs to “Lincoln,” which entered the nominations as the film to beat and emerged with 12 nominations and an almost sure lock on Best Actor. The Best Picture category swelled to nine nominees, spreading the recognition around muscular studio pictures, big Hollywood Entertainments, and demanding independents. “Amour” emerged as the foreign upstart and “Beasts of the Southern Wild” the American indie that could. The front-runners and underdogs stake their positions and the critical kibitzing begins. That’s not to say there were no surprises. Who foresaw five nominations for Michael Hanake’s harrowing “Amour,” or eleven for the survival drama by way of a storybook tale “Life of Pi” (albeit mostly for technical categories)? “Les Misérables” took eight nominations yet was ignored in directing and writing categories, which doesn’t bode well for Oscar night. “Silver Linings Playbook” scored better than expected and “Zero Dark Thirty” underperformed. Don’t get me wrong: it’s not a game of numbers, it’s about the movies and performers and artists. The numbers just help take the temperature of the race. Why do we care? Because politics and oddsmaking aside, the Oscars still matter to us, both as a star-studded spectacle and a sign of industry appreciation. A nomination is indeed an honor (certainly more of an honor than the Golden Globes) and a snub is still something to get worked up over. So here is our annual scorecard on Oscar’s slights and oversights: they shoulda been a contender. The raw dysfunction of “The Master” may have been too uncomfortable for Academy voters but I appreciate its uncompromising intensity. There were cheerleaders rooting for “The Dark Knight Rises” to legitimize the comic book movie and “Skyfall” to honor Bond, but they’ll have to settle for their blockbuster box office.